Uh-oh! The New Normal is beginning to look like the Good Old Days. Foreclosures and depressed prices are still hammering the Phoenix housing market. Yet home builder PulteGroup Inc. this month had to fight off six other bidders to win land in the suburb of Gilbert. In Arizona and across the U.S., home builders are battling to acquire land lots in preparation for ramping up home construction. While volume is tough to track, analysts report that land deals have been rising rapidly in recent months, causing land prices in some of the nation’s weakest housing markets to rise for the first time since 2006. “There’s been an absolute land rush,” said Gregor Watson, a partner with McKinley Partners, a California-based real-estate fund that works with builders. Now, I was going to opine that these guys aren’t stupid and might know something that most other pundits are missing. But then again, they did loose hundreds of millions of dollars the last time they went on a land buying binge. I’ll split the difference and suggest that they have the souls of riverboat gamblers. Two things struck me about the article. One, they’re purportedly buying developed land, all the better to bring houses out of the ground quickly, and two they’re sitting on mountains of cash. 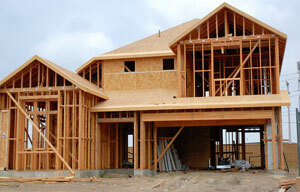 The first suggests that they think that a recovery in the housing market is more imminent than many suspect. Maybe it’s a just in case defensive maneuver bit I don’t read it that way. The liquidity aspect says to me that maybe they just think that land at current prices surpasses anything else they can invest in, particularly given current interest rates. Buy it, sit on it if you must, but be prepared when the cycle rolls back around. Either way, it’s a retort to the contentions of a lot of doomsters, including yours truly. These guys are betting with real money that we return to something on the order of the status quo ante. Maybe not the unsustainable boom, but certainly a healthy growing new home market. I, for one, would be happy to be proven wrong given the positive effects this sort of change would have for the economy. Just one thing. This time can we please just let the market work without Washington goosing it? Is that too much to ask?